← 212(d)(3) Nonimmigrant Waiver: When Do You Need It and How Do You Get It? 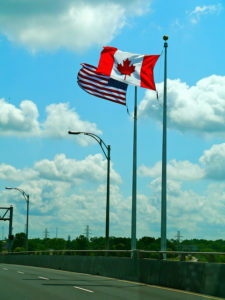 To visit the United States, a visa-exempt Canadian citizen needed a Form I-212 approval because he was previously issued a removal order by an Immigration Judge and thus became subject to a 10-year bar to reentry under INA section 212(a)(9)(A)(ii). He also required a 212(d)(3) nonimmigrant waiver due to a 20-year-old conviction, for which he was found inadmissible under INA sections 212(a)(2)(A) (i)(II)(controlled substance violation) and 212(a)(2)(C)(i)(illicit trafficker in controlled substance). With my legal representation, he received both a Form I-212 approval and 212(d)(3) nonimmigrant waiver grant from the U.S. Customs & Border Protection in April 2017. He may now visit the United States as a visa-exempt Canadian citizen. After the Immigration Court denied his motion to terminate removal proceedings and determined he is removable due to his criminal offense, the Canadian citizen reached out to me for help. Despite being married to a U.S. citizen, he could not obtain a family-based green card or immigrant visa because his criminal record makes him permanently inadmissible and there is no immigrant waiver for his offense. He and his U.S. citizen spouse had no choice but to establish a new life in his home country. His spouse, however, continued to hold her American-based job and commute between the two countries for employment purposes. Being able to travel to the United States and accompany his American kids to see their mother is important to him. He could not re-enter the United States without the necessary permission and waiver. I guided him on how to prove the favorable factors outweigh the negative factors to get an approval of his Form I-212, Application for Permission to Reapply for Admission into the United States After Deportation or Removal. I also counseled him on how to address the 3 main factors for receiving a 212(d)(3) nonimmigrant waiver: the seriousness of his criminal offense that makes him inadmissible; his reasons for seeking entry into the U.S.; and why he does not pose a risk to the American community. Facing writer’s block, my client relied on me to help him prepare his affidavit explaining the underlying circumstances that led to his conviction, describing the positive contributions he made in his profession, and the important roles he plays in his family. In addition, I advised him on the documentary evidence to submit to show he deserves the requested I-212 and 212(d)(3) waiver. Because he has an American spouse and previously applied for a marriage-based green card, for which he is not eligible, he also had to overcome the presumption of immigrant intent to be admitted as a visitor. Based on the legal briefs and application packets I prepared, the CBP granted both the I-212 and 212(d)(3) nonimmigrant waiver, which permits the Canadian citizen to visit the United States with his American family. Although there were many variables and obstacles in this case, it turned out to be a true success story for Dyan Williams Law PLLC and the client. This entry was posted in immigrant visa, nonimmigrant visa, success story, The Legal Immigrant - Immigration Blog, waiver and tagged 212(d)(3) waiver, controlled substance, Form I-212, INA 212(a)(2)(A)(i)(II), INA 212(a)(9)(A)(ii). Bookmark the permalink.